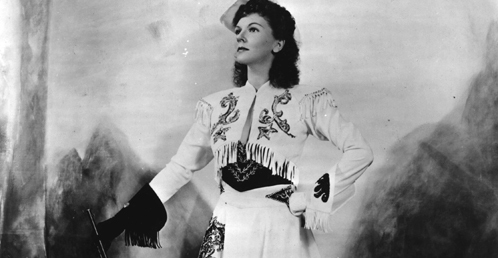 Learn all about our two versions of Irving Berlin's ANNIE GET YOUR GUN—the show that honors the legacy of Annie Oakley and her rise to fame as a female sharpshooter. ANNIE GET YOUR GUN celebrates female ingenuity and the American West with a hit score by Irving Berlin. Annie Oakley is the best shot around, and when she’s discovered by Col. Buffalo Bill, she soon eclipses Wild West Show sensation—and love interest—Frank Butler. Featuring Berlin songs “They Say It’s Wonderful,” “There’s No Business Like Show Business,” and “Anything You Can Do,” this musical comedy battle of the sexes is sure-fire shot to attract audiences. A Wild West show-within-a-show, this 1999 Broadway Revival edition of Irving Berlin’s ANNIE GET YOUR GUN features a secondary romance—perfect for large casts—as well as the original heated rivalry of Annie Oakley and Frank Butler. Reshaped by Tony, Oscar and Emmy winner Peter Stone, the show received the Tony Award for Best Revival of a Musical. 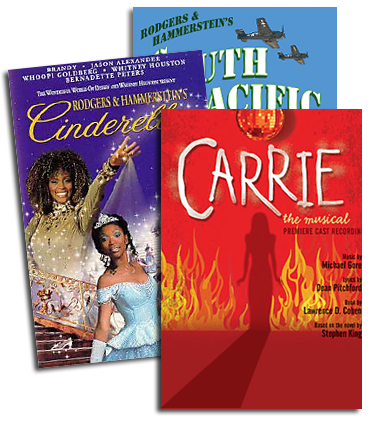 Our licensed version features orchestrations by Larry Moore.